The key to a long-lasting and reliable roofing system is proper installation. Despite using the best materials available, improperly installed roofs could still develop problems. 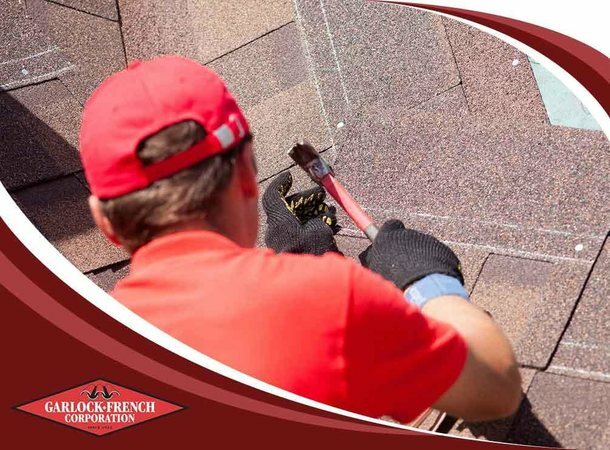 As one of the roofing contractors with a proven track record of successful roof installations, Garlock-French Corporation tells you more about the importance of proper roofing installation. Inconsistencies and other installation errors are easy to spot on patterned areas, such as roofing. A roof correctly placed would have a consistent and pleasing look, which not only forms a good first impression on your home, but also stands up to close scrutiny. This level of quality would not have been possible if not for trained and experienced roofing contractors. Roofers who hold certification from major roofing manufacturers offer several advantages. In addition to having access to exclusive products, they are trained to install, maintain and repair complete roofing systems. In our case, as a GAF Master Elite® roofing contractor, we source our materials straight from the factory – everything from the waterproofing layer to the ridge caps. You will have the confidence knowing that there are no chances of ending up with an inconsistently finished roof. Roofing problems are usually caused by installation errors, which typically become apparent during the first couple of years after the roof is completed. Proper installation minimizes the chances of such problems, especially when installed by certified roofers. Modern roofing systems have components that are designed to work holistically, resulting in roofs that are better than the sum of its parts. Thanks to our installation know-how, certified roofers can confidently say that our roofing systems are at less risk of developing problems from improper installation. If it does, however, you can rest easy knowing that we have workmanship warranties to go with the factory warranty. As a GAF Master Elite contractor, we are proud to offer the full range of GAF’s roofing warranties, including the Golden Pledge® Limited Warranty. It covers up to 50 years on the roofing system plus up to 30 years’ coverage on workmanship, provided and backed by GAF itself. Garlock-French Corporation has extensive experience installing asphalt shingle and metal roofing. Call us today at (612) 722-7129, or fill out our contact form to schedule a consultation. We serve St. Paul and nearby areas in Minneapolis.